RESIDENTS of KwaCeza in Ulundi are happy Thulasize Hospital will not be shut down. Health MEC Dr Sibongiseni Dhlomo made the announcement on Friday. He had visited the area in northern KZN to open two new clinics. 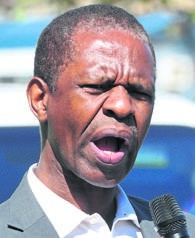 Councillor Senzo Buthelezi said even though residents had complained about the hospital, they didn’t want it closed. Buthelezi said even though residents were happy, they still wanted the department to sort out a few issues at the hospital. Among the issues raised was that the hospital had limited parking and a small waiting room which meant they had to wait outside to be helped. Dhlomo said they had no plans to shut down the facility. “Last week, about 30km away, we went to another area where we took over a hospital that was run by the Lutheran Church. “We wouldn’t be doing justice if we shut down this one as that would mean we are saying residents from this area don’t need healthcare services,” said Dhlomo.